Meet Red & River, our team of oxen. We purchased these steers at 4 weeks of age from Lady Grove Milking Shorthorns in Kleefeld, Manitoba. We have been training them for draft purposes since they were 5 weeks old. Red and River were born in September, 2009, and still have a lot of growing to do. By age 5, they will be fully grown at around 2200 lbs each! As Red & River grow they are able to accomplish heavier tasks on the farm. 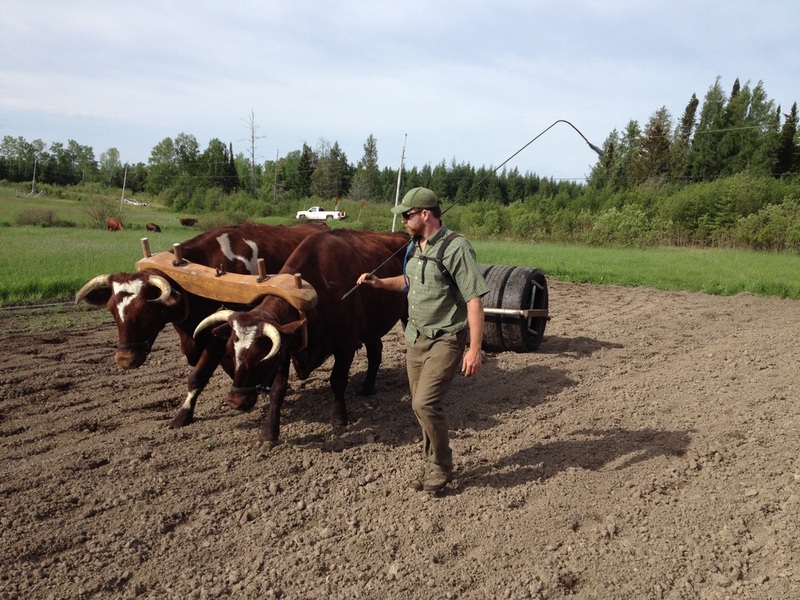 We strive to do the majority of our garden work with the help of our oxen. Their capacity to learn new jobs makes them versatile and dependable source of traction power. We choose to work with draft animals because they are a practical and efficient source of power on a small farm. Oxen are able to perform any work that would typically be done by horses, but have the benefit of lower costs associated with acquiring and maintaining them. Draft animals can be much more agile than tractors and heavy equipment, and therefore excel at certain types of field work. 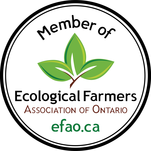 We farm with the use of tractors as well, but embrace both traditional farming methods as well as modern farming innovation. Organizations such as Tiller’s International work throughout the world at helping farmers make the best use of draft animal power in a modern world. Red & River’s friendly disposition make them a joy to work with. They genuinely love human contact, have a willingness to work when asked, and have a level of intelligence that most people would never realize.